It's been a hectic day at Stock Informer HQ! 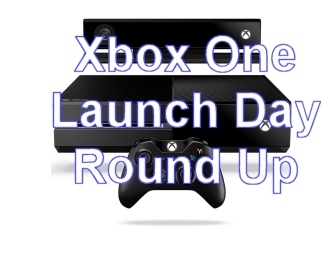 We were up and ready at 12am in eager anticipation of the Xbox One console UK launch. First retailer to come up trumps was Tesco Direct. Bang on midnight, Xbox One Console with Forza 5 in stock which lasted a whole of 18 minutes! At 12.50am the Official Microsoft website started taking orders for the Standard version of the Xbox One console with a expected delivery date of 16th December. This lasted most of the day. Next up was John Lewis at just after 4am which lasted around 2 hours 15 minutes until 6.15am. John Lewis had originally stated that sales would commence at midnight but maybe thought better of it after seeing the level of traffic on their website! Still, there were plenty of punters still awake at 4am to snap up their whole initial allocation. At 9.15am the Microsoft Store pulled a rabbit out of hat by newly listing Day One Edition consoles with either FIFA 14 or Forza 5 Racing games for only £429.99. These proved very popular and the Forza 5 package only lasted 15 minutes. However stock levels of the FIFA 14 package must have been much higher as this lasted 2 hours 50 minutes before the Microsoft website decided enough was enough. Users have already reported that shipping confirmation and tracking numbers have already been issued to them with delivery expected early next week. Amongst this frenzy Argos reared it's head at 10.45am with the Day One Edition Xbox 1 with Forza. This lasted 1 hour 45 minutes and continued with stock of the Standard Edition console until 2.30pm, after which intermittent stock has continued throughout the day. In the meantime Amazon had a quiet day having already sold all it's launch day allocation a long time ago. It is predicted these shortages will continue beyond Christmas. Here at Stock Informer we constantly track retailers websites so you don't have too. If you are still searching for Xbox One stock don't be disheartened, register on our website for email and text message alerts and we will do our best to find you availability. When we do, you just need to be very quick to order before it sells out! All in all a tiring day for the team but heartened and very appreciative of the supportive messages we have received throughout.